Both parties have submitted claims and counter-claims in the months preceding Monday's jury trial and much of what is argued has already been thoroughly discussed. There has not, however, been summarizing documents which encompass the arguments asserted by the two companies until Apple and Samsung filed their trial briefs today. In its 66-page filing Apple claims Samsung not only violated intellectual property rights but asserts the South Korean company based its corporate strategy on copying the iPhone maker's designs. Apple says it "will rely on Samsung's own documents, which tell an unambiguous story" to argue its case, referring to a number of cited materials allegedly showing purposeful action was taken to mimic the success of the iPhone and iPad. Of note, Google itself mentioned that Samsung's P1 and P3 tablets, later marketed as the Galaxy Tab and Galaxy Tab 10.1, were too similar in design to Apple's iPad. In 2011, Samsungs own Product Design Group noted that it is regrettable that the Galaxy S looks similar to older iPhone models. And a Samsung-commissioned analysis concluded that Samsungs smartphone container icons were too iPhone-like and were strongly associated with the iPhone UI. This evidence involves the products that Apple has accused of infringing its design patents and violating its trade dress rights, including the Galaxy S phone (sold in the U.S. as the Vibrant and other names), the Galaxy Tab 10.1, and the icon containers that Samsung used on its smartphones. The same arguments were used against Samsung's UI design, which Apple claims was adopted because consumer response to the established properties was positive. Here Apple asserts the '381 or "rubber-banding" patent which describes a visual element that, when applied to scrolling operations on a touchscreen device, causes a bouncing or rubber-banding effect. Similarly, in April 2011, Samsung concluded from a comparison of one of its tablets with the iPad that Samsungs tablet lacked the iPads Fun, Wow Effect because there was no springing Bounce effect during topmost and bottom-most diagonal movements. With this and more allegedly supportive evidence, Apple writes that Samsung's copying is enough to establish intent for willful infringement and argues that the violations amount to "billions of dollars" in damages. By Apple's calculations, Samsung's alleged indiscretions combine to total of $2.525 billion in unrecoverable losses. If the jury finds Samsung has violated Apple's IP rights, the Cupertino-based company plans to seek an injunction to avoid further financial losses and the "irreparable harm Samsung's copying is inflicting on Apple." Moving to Samsung's declared-essential patents, Apple claims the properties are both not infringed and invalid. One property among the many argued is the '941 patent for UMTS technology which, according to Apple, Samsung snuck by the 3GPP wireless standards body. In May 2005, Samsung convinced 3GPP to adopt a proposal to make minor changes to a few subsections of Section 25.322, one of hundreds of subsections of the UMTS specification that make up the overall 3GPP specification. Unbeknownst to 3GPP, less than a week before making its proposal, Samsung filed a patent application in Koreathe priority application to the 941 patentthat Samsung contends covers the technology described in the proposal. Samsung did not disclose to 3GPP that it had filed this patent application. Indeed, Samsung did not disclose that it claimed to hold intellectual property rights over the technology until more than two years later, in August 2007. By that time, Section 25.322 had been frozen for almost two years, and it was too late for 3GPP to consider alternative proposals. The same technique was supposedly used on the separate UMTS technology '516 patent. Apple claims it does not infringe on either the '941 or '516 patents and goes further, saying the '516 patent is invalid. Also an issue is patent exhaustion, which Samsung argues does not apply. A similar case regarding the use of 3G/UMTS technology in Qualcomm chips was successfully argued by Apple in the Netherlands. Specifically, Samsung (1) deliberately and dishonestly failed to timely disclose IPRs it now claims cover technologies incorporated into the UMTS standard and (2) falsely promised to license its declared essential patents to all UMTS implementers on FRAND terms. The FRAND issue has been the topic of much discussion as of late and the declared-essential patents are at the heart of Apple's battle with Motorola. Finally, Apple notes Samsung's claimed damages are excessive as it pertains to FRAND royalty rates. Apple looks forward to a trial that will vindicate its intellectual property rights. Samsung must play by the rules. It must invent its own stuff. Its flagrant copying and massive infringement must stop. Samsung goes on the defensive with its arguments, most of which have to do with its non-infringement of Apple's patents. In this lawsuit, Apple seeks to stifle legitimate competition and limit consumer choice to maintain its historically exorbitant profits. Android phones manufactured by Samsung and other companies  all of which Apple has also serially sued in numerous forums worldwide —offer consumers a more flexible, open operating system with greater product choices at a variety of price points as an alternative to Apples single, expensive and closed-system devices. Indeed, Apple, which sold its first iPhone nearly twenty years after Samsung started developing mobile phone technology, could not have sold a single iPhone without the benefit of Samsungs patented technology. Even as Apple has carried out a coordinated campaign of dragging Samsungs name through the mud in this lawsuit and in the media, it has used Samsungs patented technology while flatly refusing to pay for its use. Samsung claims it has used the same public domain design concepts that Apple "borrowed from other competitors, including Sony, to develop the iPhone." To prove this, Samsung will leverage internal documents including a "Sony-like" design model created by Apple designer Shin Nishibori. 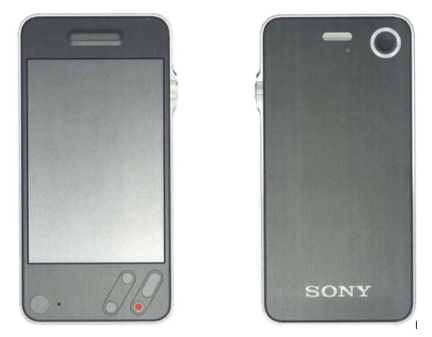 Eliminating any doubt about the origin of the designs inspiration, Apples internal CAD drawings had the "Sony" name prominently emblazoned on the phone design. Only days later, Apple designer Richard Howarth reported that, in contrast to another internal design that was then under consideration, Mr. Nishiboris "Sony-style" design was "a much smaller-looking product with a much nicer shape to have next to your ear and in your pocket" and had greater "size and shape/comfort benefits." As Mr. Nishibori has confirmed, his "Sony-style" design changed the direction of the project that yielded the final iPhone designs. The documents also allegedly show that Apple admitted its strength lies not in developing new technologies first, but in "commercializing them." 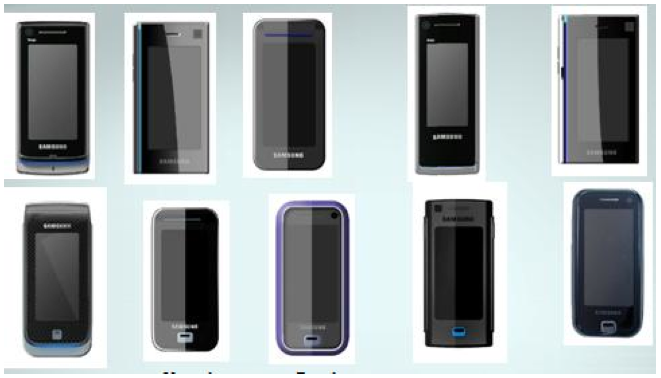 Samsung asserts that features were taken from other handset makers like Nokia, Palm and others. 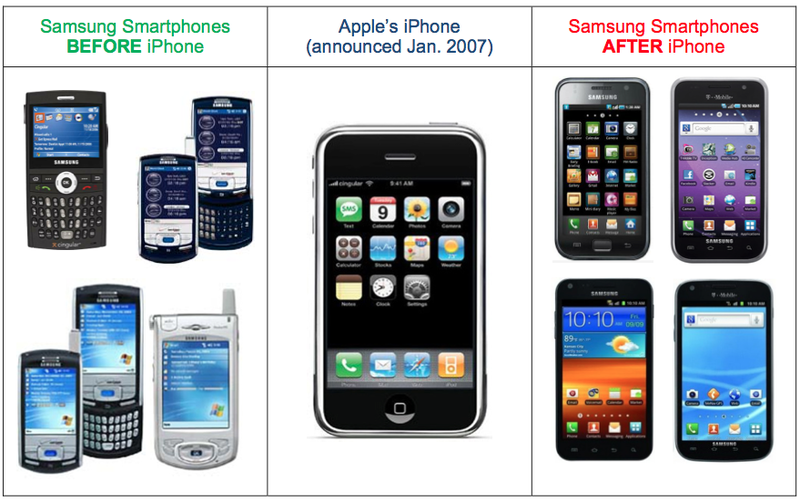 With the assertions, Samsung is attempting to negate Apple's claim to be the inventor of the now-iconic iPhone design. The brief goes on to nullify Apple's copying allegations by noting the development of "numerous products and models with the same design features" as the iPhone. 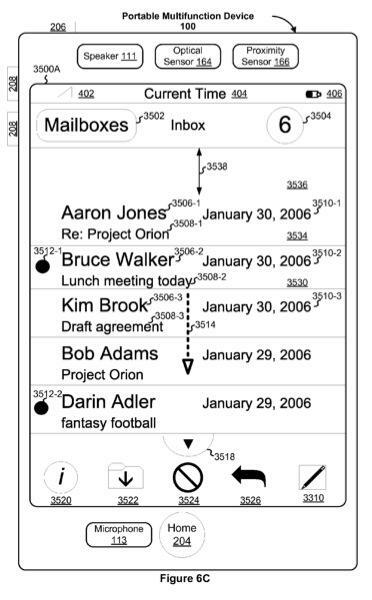 Samsung claims its designers were already thinking of a simple, screen-dominated device in 2006. Also during this time, the simple icon layout with different landscape and portrait orientations seen in what has become iOS was envisioned by the Korean company. As for Apple's utility patents, Samsung claims the features were already in "widespread use" prior to the iPhone's launch in 2007 and the company has "dead-on prior art" invalidating the IP. On this basis, Samsung at the same time invalidates and claims no infringement on Apple's '163 patent for a "structured electronic document" as well as the ''915 "scroll event" patent. In arguing against Apple's design patents, Samsung claims that "minor differences matter" and cites two cases, one regarding a horse saddle and the other a automobile tire. To this end, Samsung says: "Any generalized argument by Apple that minor differences must preclude a finding of non-infringement is therefore unsupported by law and misleading. This is especially true where, as here, Apple is claiming only parts of a hand-held device with minimal features." The company claims that Apple's FRAND defenses are meritless and notes licenses for the Samsung technology used in iDevices have been offered to "every major player in the mobile industry" with positive results across the board. Apple is supposedly the only firm to have denied the cross-licensing deal. [Apple] seeks to collect "lost profits" despite the fact that no one buys phones because they have "bounce back" feature or other manifestations of Apples alleged inventions asserted in this case. Damages are meant to compensate, not confer an absurd windfall at the expense of competitions and consumers worldwide. For its part, Samsung is asking for royalties related to the UMTS standards used in the iPhone. Apple v. Samsung is slated to begin with jury selection on Monday.